As well as sand and shells, why of course!! And making a mess is part of the JOY of creating!! And another great link up party! What a sweet space! A relaxing place to unwind, meditate and create. I love your beach theme. It's so organized. Really nice. Love the white, beachy feel. I do understand how you can create ALOT of Joy in your studio. Your space is so bright and lovely! The beach theme is perfect with the white furniture! I adore the beach theme, Cindy....very tranquil and soothing. I hope you have one of those Ocean Waves CDs! I think it's so interesting to see how different we all are in what makes the "creative juices" flow. You might need to take a "chill pill" before you come over here to my happy space...lol! Hi Cindy. I love the way you start your blog tour about bringing the beach to you. Your studio is wonderful and your descriptions tell a great story. Love all of it. Thank you for the delightful tour of your creative space. Thinking of you, dear friend. Love and hugs! Hi Dear Friend, Well can I move in??? I love your inspiring space and the beachy theme is so refreshing. You are so organized even if you do make a mess now and then. I understand this too well haha. You have decided like most of us to make this a space for Happiness. Looks great! Hugs! You have a lovely workspace and I love your wooden filing cabinet, so much nicer than a metal one! The sea is what gives me calm in my creating too. So your beach studio is perfect. Ooh, I do love your dresser, all those drawers and shelves! What an amazing studio to create in, it's so pretty! Loved seeing your craft room. Very nice dresser! Your space is lovely, Cindy. I especially loved those jars of yours, very unique. Hi Cindy, what a beautiful space! 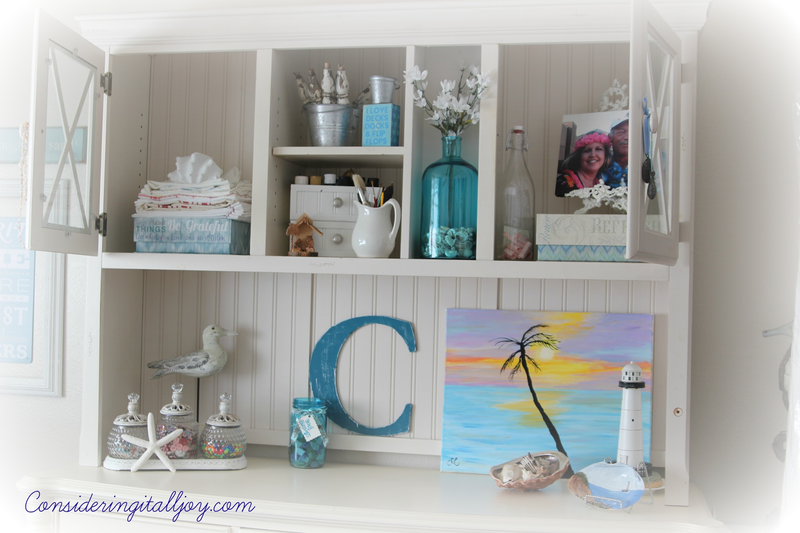 Your beach theme gives it such a bright and airy feel. Love your inspiration wall, what a sweet idea. 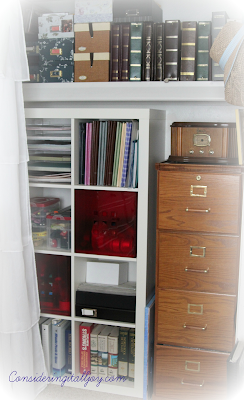 My goal is to have a space as organized as yours!! Cindy, I love your special place! You have everything organized so nicely. Love the pitchers and bottles! 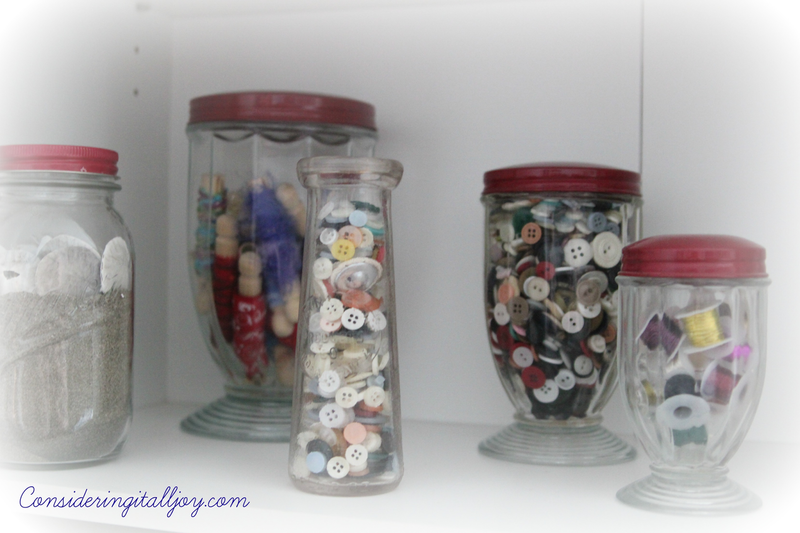 I have that same set of red lidded jars. 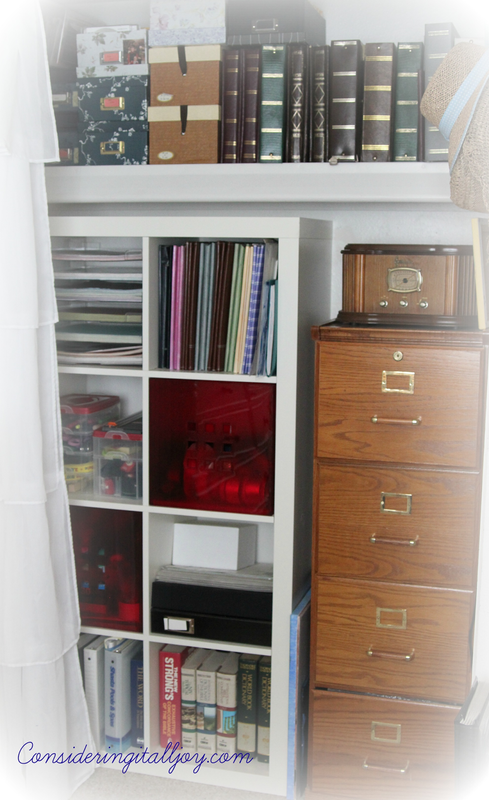 Your dresser and hutch is darling and love your inspiration board! Wow, like you, I love the beach. I even have a wave sound app that I have on when I go to sleep. Your workplace is inviting and I think it would be great to work in. Thanks for sharing. I'll be visiting often. Hi Cindy, You have some amazing shaped jars for buttons - I love those. 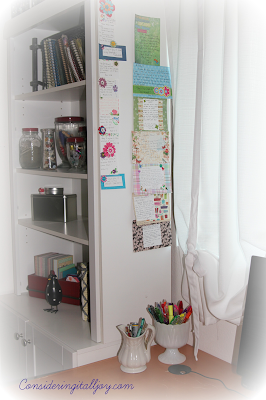 I like your cupboards, too:) Thanks for showing us your gorgeous creative space. Oh I love your idea of bringing the beach to your studio. Everything looks so organized. Love that beautiful large white dresser! Everything nicely in its place making creating so much easier! Thanks for sharing it all with us and also for visiting my Etsy shop too though it is looking quite bare at the moment. You have a very lovely beachy themed room. Love you collection of jars. Thanks for sharing your inspiring room. Love the beach theme Cindy. Your creative space is fabulous. Have a great week end. All beautifully thought out and I love your beach theme. 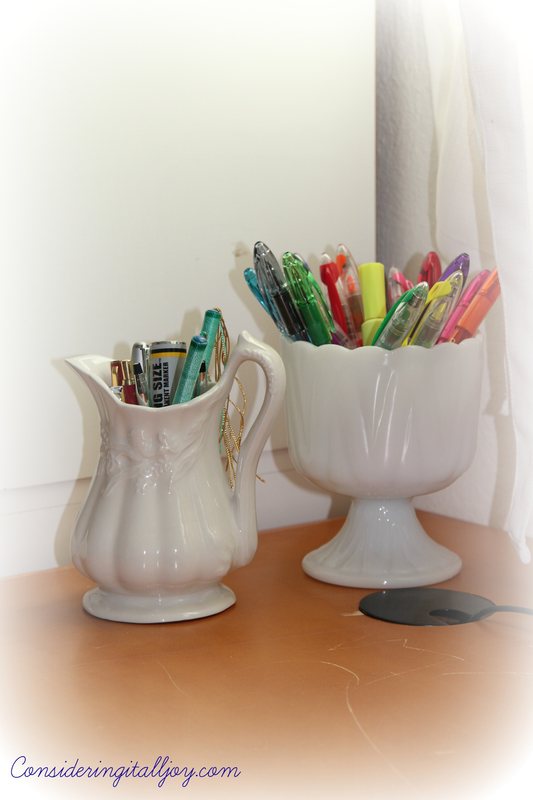 I bet creativity flows in your lovely room. 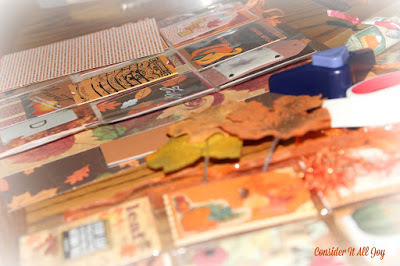 I wish I was more organized when I create ... I'm all over the house! 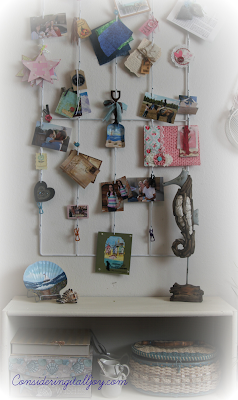 Your hanging inspiration wall is clever! Nice. You have a wonderful space. And so pretty. I love the beach theme. 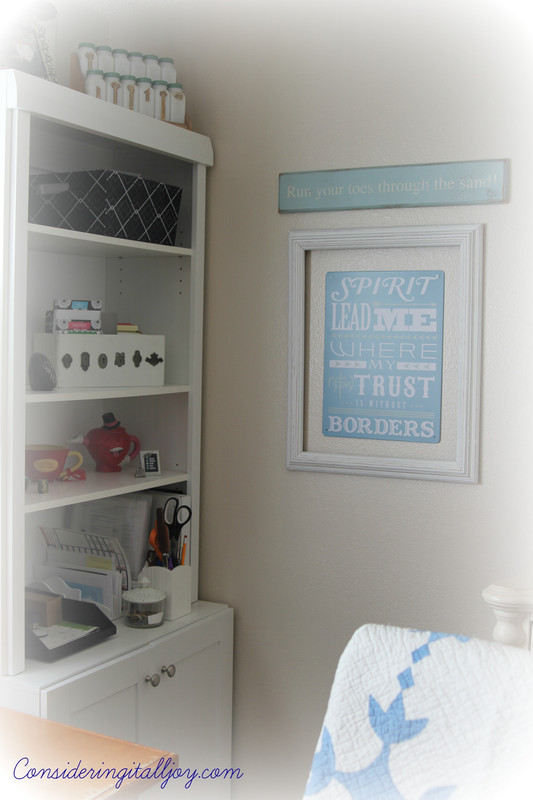 I've added things I love around my creative spaces. 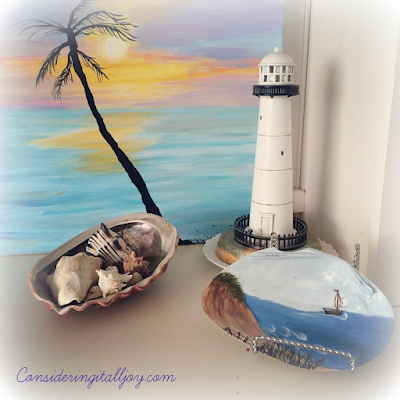 I'm posting about my Beach Theme decorating this week. You'll have to come over. I enjoyed visiting from the linky. I'm following you. Come over and follow me. Have a good week. 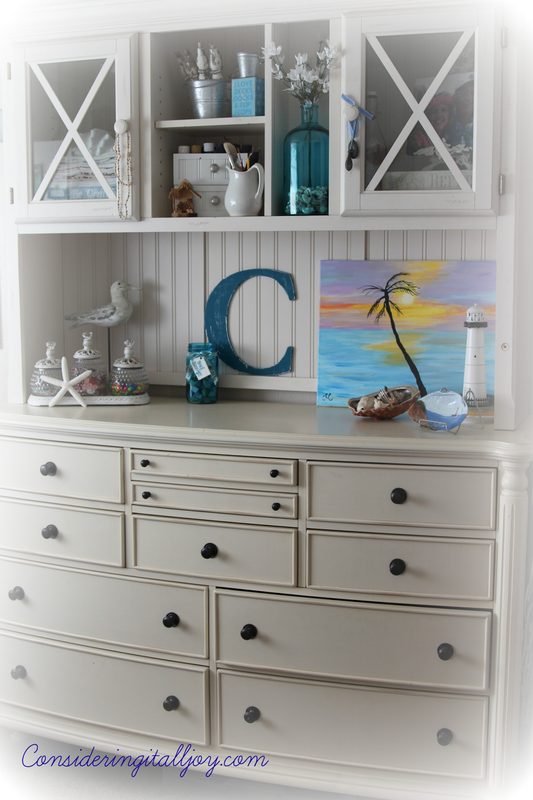 Love the beach theme and the inspiration board. It's very light, airy and pretty! A lovely theme! It looks so cool and inviting and I love the curtain idea in place of a door. Such great ideas here! Looks like a lovely setting for being creative. Thank you for taking the time to visit my blog. I love your space. It looks so wonderfully organized! I love your hutch! Thank you for opening your doors and letting us in for a peek. Love your space! Thank you for visiting me. 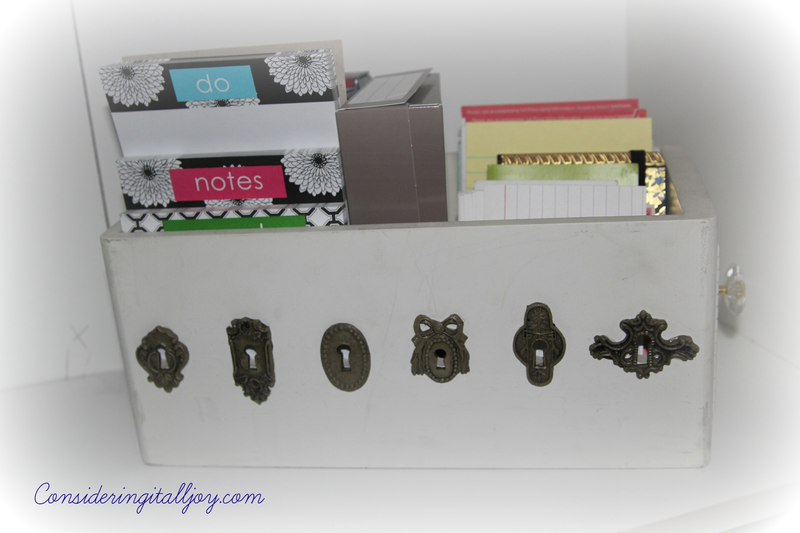 We have a lot in common, like the drawer with the key holes. Maybe I'll use mine in similar way. I love love your print of the Oceans lyrics. Did you make it? I love all of the white furniture that makes all of your pretty special things stand out. 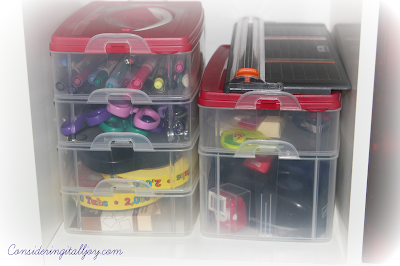 So many fun ways to store your craft items to add interest and keep things organized. 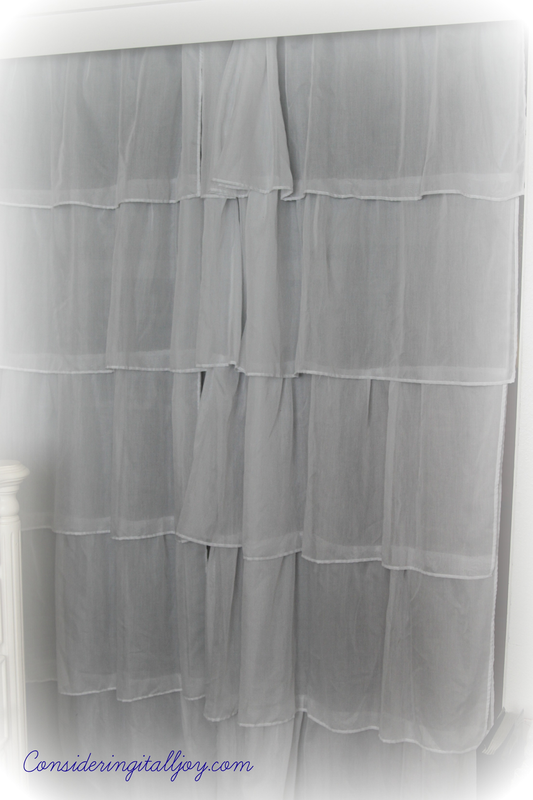 Love the ruffled shower curtain, it is much better than a wood door. The beach theme is adorable! :) Thanks for sharing with us! Am late visiting but love your so very organized studio. Your beach theme is so fun and inviting. I bet you love being in here creating to your heart's content. 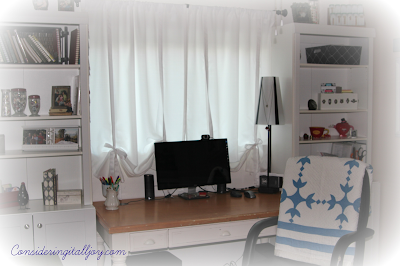 Thanks for sharing your creative space with us, I know it's very important and personal! Cindy- these photos are so lovely. You have created a lovely haven for your crafting. Love that wonderful window and natural light... Everything seems so tidy and organized. I'm never gonna be that efficient!! Thanks for these pretty photos..